Whether you want the best PCT after your cycle or just want to reduce the harmful effects of environmental estrogens, FORM-XT has you covered with a potent suicide aromatase inhibitor. WHY THE WORLD NEEDS LESS ESTROGEN! Men love steroidal anti-aromatse agents. These products block the conversion of testosterone to estrogen, which may help you in the war to look and feel yout best! Rapid Release. Prohormone Action. Platinum Series. IMPORTANT LEGAL INFORMATION: By purchasing this product you agree: (1) all disputes, claims, and causes of action arising out of or in conjunction with this product shall be resolved individually, without resort to any form of class action, by binding arbitration to take place in Detroit, MI pursuant to the rules of the American Arbitration Association; (2) all claims, judgements, and awards shall be limited to the actual out-of-pocket amount paid by you to LG Supplements LLC, to purchase the product, but in no event attorneys' fees; and (3) under no circumstances will you be allowed to obtain awards for, and you hereby waive all rights to claim punitive, incidental, or consequential damages, any other damages other than actual out-of-pocket expenses, and all rights to have damages multiplied or otherwise multiplied or otherwise increased. A judgement of any circuit court may be rendered upon the arbitration award made pursuant to this agreement. The construction, validity, interpretation and enforceability of this agreement, or the rights and obligations of users and us in connection with this product, shall be governed by and construed in accordance with the laws of Michigan, without giving effect to any choice of law or conflict of law rules or provisions (whether of MI or any other jurisdiction) that would cause the application of the laws of any jurisdiction other than the MI. If any of these terms are found unlawful, void, or for any reason unenforceable, the provision will be considered severable from the remaining terms, and will not affect the validity and enforceability of the remaining provisions. CA residents ONLY:arbitration occurs in Redding, CA and the laws of California apply. Shake well. Adapta caps snap down and then screw on. Dispense 2ml under the tongue. Hold the contents under your tongue for 60 seconds, then swish the contents around your mouth and swallow completely. Use 3 doses spread out during the day with at least 30 minutes between doses. Example, 2ml upon waking, 2ml at 5pm and 2ml before bed. Ingredients: Water, glycerol, HPBCD, citric acid, Na benzoate, Ca EDTA, K Sorbate, N&A flavor, sucralose, ace K, stevia, xanthan gum. KEEP OUT OF REACH OF CHILDREN. NOT FOR USE BY INDIVIDUALS UNDER THE AGE OF 21 YEARS. Consult a physician or licensed qualified health care professional before using this product if you have, or have a family history of, prostate cancer, prostate enlargement, heart disease, low "good" cholesterol (HDL), or if you are using any other dietary supplement, prescription drug, or over the counter drug. Do not exceed recommended serving. Exceeding recommended serving may cause serious adverse health effects. Possible side effects include acne, hair loss, hair growth on the face (in women), aggressiveness, irritability, and increased levels of estrogen. Discontinue use and call a physician or licensed qualified health care professional immediately if you experience rapid heart beat, dizziness, blurred vision, or other similar symptoms. Made in a facility that may process dairy, peanuts, tree nuts, wheat, fish, barley and shellfish. Do not use if governed by any body that prohibits hormone use. 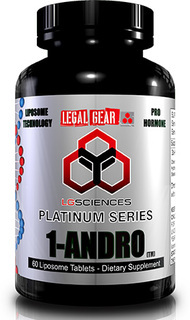 When combined with proper diet and exercise the mental and physical benefits to this aromatase inhibitor give you an amazing edge in the gym to reach your fitness goals for strength and mass. Like any AI we suggest that you be over 18 and of course have a good diet and exercise program and be in good general health as checked by a doctor. The liquid delivery system gives you immediate absorption in the mouth and then prolonged absorption through the digestive tract. This allows for better bioavailability and more immediate action in the body. 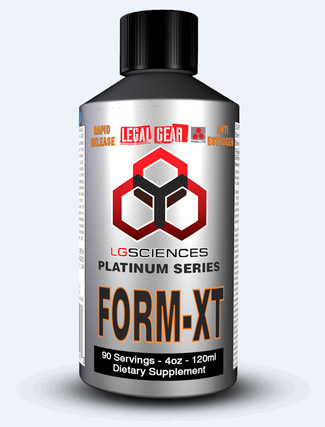 FORM-XT is best taken by holding the liquid under your tongue for 60 seconds, then swishing it around your mouth and swallowing completely. This allows the maximal absorption. Doses can be taken any time of the day but are best spaced out as far as possible. At a minimum you should wait at least 20 minutes between doses. 1) All claims are dependant on proper diet and exercise. 2) All products have the possibility of side effects, but they are rare (read the warning on the bottle for a full description).